This is a 10.1'' 1024x600 touch screen HDMI monitor display module. 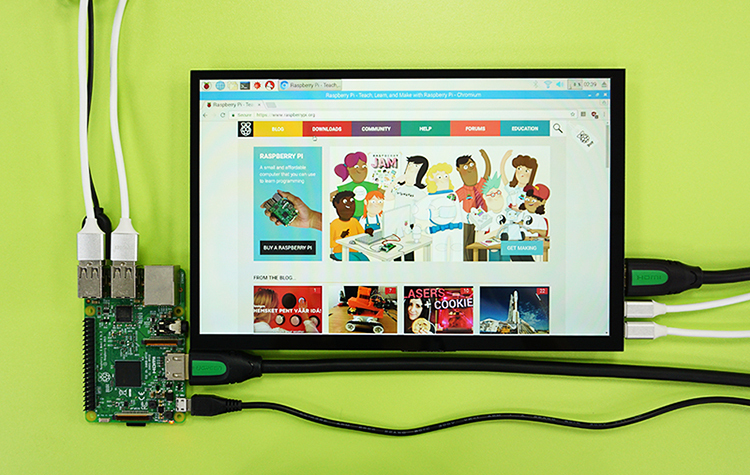 This module is composed of a HDMI display,a USB touch screen and a PCB control board. It supports Raspberry Pi, Windows computer/monitor, X86 IPC (Industrial Personal Computer) and Android/Linux system board. -USB power supply. The USB interface is for both power supply and touch screen. -TI HDMI decoder chip which has stable performance. -Capacitive touch screen is designed with G+G, Glass ITO sensor, Glass cover lens. It supports 5 touch points maximumly. -Plug and play for Windows system. For other OS, it can also be used easily by setting HDMI output resolution. Packing with foam and carton to keep the display safe during shipping. Hi, I am interested in your product（10.1'' HDMI touch screen LCD monitor display, 1024x600, USB touch）!